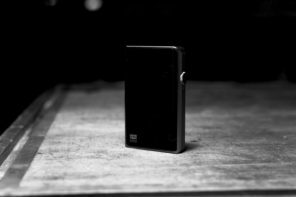 Disclaimer: Fiio sent us the Fiio A5 portable amplifier free of charge in exchange for an honest review.The unit doesn’t need to be returned to China, Fiio is also is a site advertiser. 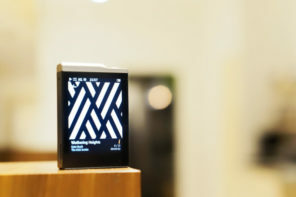 The Chines Fiio no longer needs an introduction. The brand’s popularity has only increased over the last years and I don’t see that stopping anytime soon. 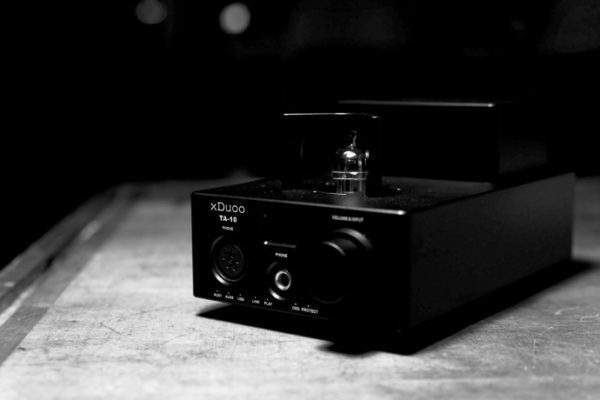 Simply put: Fiio makes high resolution audio available for everyone. For me Fiio lately has been focusing on two main “things”: Updating their huge existing product-line (at a (too) fast pace) and bringing new High Res audio players to the market. With the DAPs, Fiio – with the X7 – also started selling more expensive gear then we were used to from Fiio but the X7, and now the X5iii, simply are top quality DAPs. The Fiio unit that impressed me most over the last few years is the Fiio E10(K)/Olympus and it still is one of the units I love using at home and at the office for casual listening. While Fiio certainly developed other great units, I’m still waiting for something new and exciting like the E10K, a unit that shook up the business. 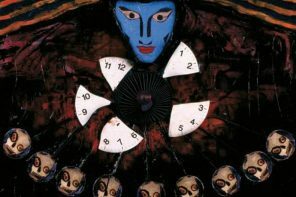 I hope to see such a creation soon as I feel it lately has been getting rather predictive. I always liked the sound of the E12A amplifier so my hopes for an improved version are high. 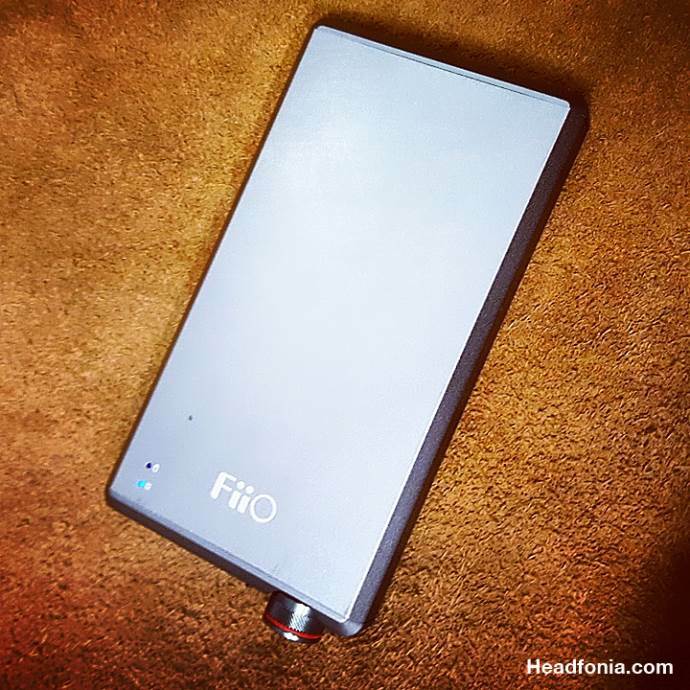 The new Fiio A5 portable amplifier is available in a titanium and black color. 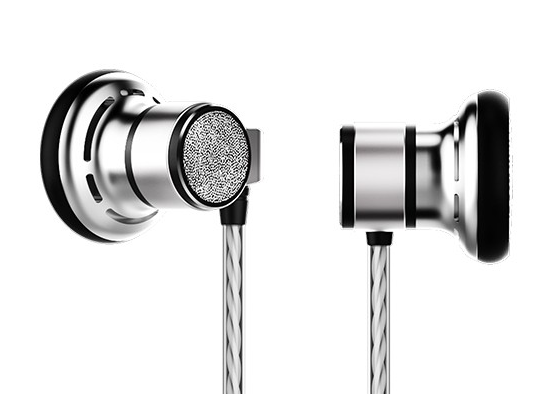 The A5 also holds the official golden Hi-Res Audio label. Some A5s seem to come with the famous logo stickers, though I couldn’t find any in my box. It’s not that important to me though. The A5 is the newest unit of the E12 amplifier series but the look and feel still mostly is the same. The A5 continues to use the E12A’s highly effective MUSES02 + LME49600 OPAMP combo. 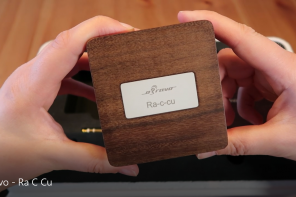 According to Fiio, all major components utilize high-precision metal film resistors in order to keep improved channel balance and lower noise floor. A +/- symmetrical supplied power allows for the elimination of coupling capacitors, reduces distortion and increases dynamic range. 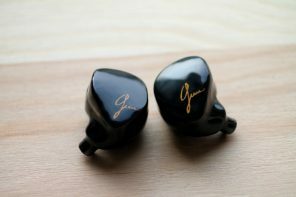 The Output power is up to 800mW (at 32Ω), along with high/low gain switch, which makes the A5 capable of driving most of the headphones and earbuds in the market. With the Fiio A5 you’re supposed to get longer battery life backed by smart rapid charging. The battery inside the A5 is an 880mAh 3S (three cells in series) battery. The A5 can automatically adjust the amount of current to the battery when charging by detecting your particular charging equipment. With a 5V/2A charger, the A5’s battery can be fully topped up in 2.5h only. With normal use, the A5 should last you for a lengthy 13 hours. Charging the unit while using it is perfectly fine btw, and you won’t hear any weird noises because of it. The A5 with its typical design is built to be used mostly with a smartphone, it also has the smartphone size and that means it size-wise won’t be compatible with smallest of the popular DAPs on the market. The Fiio A5 is well built (I do like the E12A more) but it isn’t perfect either. Don’t get me wrong, it is built like a tank and I’m 100% convinced this is an amp that can take a serious beating, just like its ancestors. The point I’m referring to – and this isn’t new – is that the lines of the A5 do not match up with the lines of the head and tail section. OCD-sensitive audiophiles might not like to see this even though it functionally has no impact at all. The A5 no longer comes with a brushed metal case but this time Fiio chose to use a sandblasted enclosure. I have to say it does feel more plastic-like but it does result in a more durable paintjob. For most people the new design probably is more striking in appearance but I still prefer the E12A’s finish. Different people, different tastes. Of the three models, the E12A still is my fav design wise. Especially the E12A and A5 look very much alike. The Original E12 had some extra switches on the side for gain and crossfeed. The new A5 does have a dedicated LED specifically designed to let you know the device’s charging status immediately. 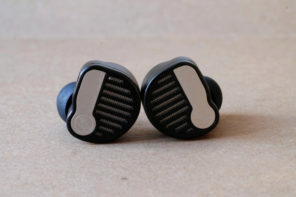 It also sports CNC (stainless steel) milled headphone connectors which replace the copper ones. The effect should be that the connectors are sturdier and have no gaps, as it is called. The most attractive part of the Fiio A5 to me is the beautifully designed volume/power knob with fifty-six(!) etched 45° lines and a red line. It looks so fancy but at the same time I don’t really like the implementation of the volume pot. When the A5 is lying flat on your desk, changing the volume with just one hand/two fingers is not the easiest, that however isn’t an issue when it’s stacked next to your source. On top of the unit you’ll find the power and charging indicators and the classic Fiio logo. On the front from left to right you have the 3.5mm input, the 3.5mm headphone out, the H/L gain switch (13dB which is -3dB compared to the E12(A)) and the power/volume know. On the left side of the unit you have Fiio’s awesome Bass Boost (+5 dB) switch and the micro-USB charging port. The unit measures 124 x 65.5 x 14.5mm and weighs 168g which is perfectly ok, it is the heaviest of the E12/A5 series though. The Fiio A5 is just a tad bigger than their new killer X5iii DAP. Thank you for the great review, Liven. I have Fiio X5 II paired with Fiio E12A and Sennheiser HD600 (AKG 712 Pro, Beyerdynamic 880 250 Ohm). 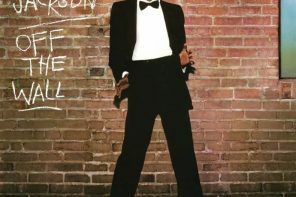 For comfort listening and to enjoy music I never turn volume knob of E12A more than 11a.m. (high gain), so I have plenty of headroom. These headphones do not sound underpowered or distorted for me (even current hungry AKG). Will I notice any significant difference with A5? I’d stick with the 12A. Great amp and the A5 won’t offer you a lot more. 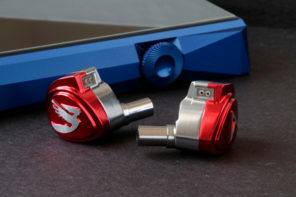 Hi, I have the E12 but it hisses on my iems too loudly when line out from my DAP. Should I go for the E12a or the A5(considering same price bracket) as I will be keeping the E12 for myself. Thanks in advance! 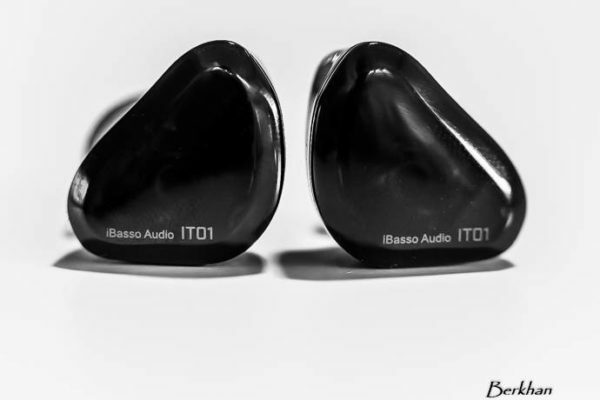 E12A as your IEMs appear very sensitive. Love mine…. Sorry, Lieven, I misspelled your name in my previous comment. Thanks for the review! I actually picked one up already, but it’s always good to hear that I’m not crazy based on my impressions! Anyway, how would you compare this to the Cayin C5 amp? Was thinking about picking that one up instead, as I really like the sound of this amp with my HD580, but I prefer an airier-sounding amp with my NightHawk Wood. I’m sorry but Nathan has the C5, not me. 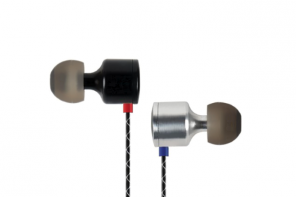 Doesn’t the Cayin have a high’ish output impedance, making it unsuitable for low impedance headphones? OK not suitable for my 300ohm HD580, the search continues, difficult as I don’t want to spend a lot for a portable amp… Any recommendations always welcome! 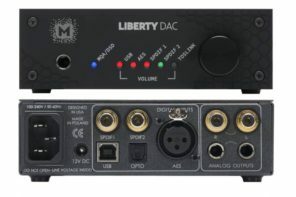 What DAC are you feeding into that amp? I think the amp has plenty of power for the 580, it sounds great with my 580. And I don’t think that you’re realistically going to find a portable amp with that much power period, or at least not without buying maybe a Chord Mojo, maybe? The DACport HD might be a decent pickup for you depending on what your source is. Hoy its soundstage compared with Cl Picollo? 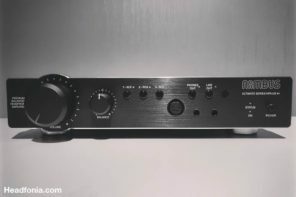 Would this amp make a difference when used with the X5 iii ? Or does the X5 iii not really need a separate amp? Would you recommend it paired with a Fiio X5 3rd gen or is the player enough? Will it be great with beyer DT 990 pro 250 ohm? Hello! is it worth buying for Fiio X3-II and ATH-MSR7? I have HD650 and E17K. Planning to add A5 or E12A to this setup, is it worth? 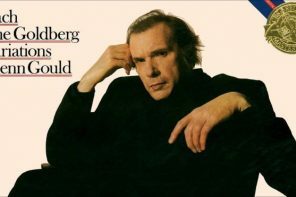 But JDSLabs C5 already discontinued, right? How about JDSLabs Objectice2? We’re not fan of the O2 amp, sorry. 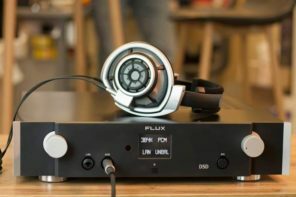 How does the Fiio A5 work with the HD650? I also have HE 400i which I think the A5 will power sufficiently I’m just worried about the HD650s. I have the Sony player: NWZ-A17 and for headphones: Sony MDR 100AAP (not the best but still i like them) .With who amp should i pair them ? A5 or E12 ? I have X5 ll +E12A and I use it with westone um pro 30 & audio technica PRO700, abd plaining to buy HD 650 too. If i could change E12A for new A5 , should I do this? 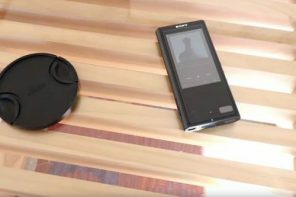 Cayin C5 vs Fiio A5 . Whcih one to choose. 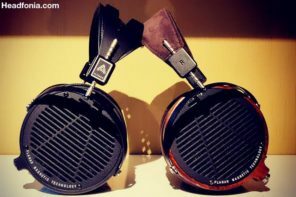 Is a worth buy to drive at the best my Sennheiser HD 580? Does it worth to buy this if I already have LG V30 as my source? I am using Sennheiser HD 6XX. Will it make a big difference? Compare FIIO A5 to Cypher labs Picollo AMP, which is better to pair with FIIO M6 which is small size DAP like Picollo. Disclaimer: The Astrotec Lyra Classic was sent to us free of charge in exchange for the review. The review will be published later on….